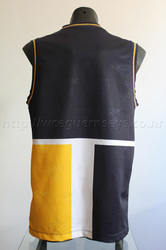 WIth new guernseys for 2000, prototypes were made in 1999. 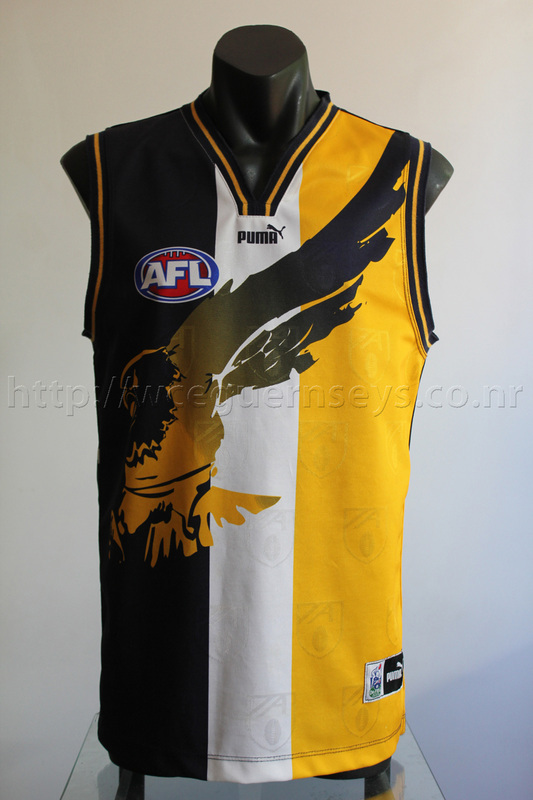 These prototypes have the old AFL logo watermark stitched into the fabric and the 1999 Puma badge on the front. No sponsor logos were printed on; for promotional pictures an SGIO logo was stitched onto the front.